Everyone says Lauren Tranter is exhausted, that she needs rest. And they’re right; with newborn twins, Morgan and Riley, she’s never been more tired in her life. But she knows what she saw: that night, in her hospital room, a woman tried to take her babies and replace them with her own … creatures. Yet when the police arrived, they saw no one. Everyone, from her doctor to her husband, thinks she’s imagining things. Determined to bring her true infant sons home, Lauren will risk the unthinkable. But if she’s wrong about what she saw, she’ll be making the biggest mistake of her life. 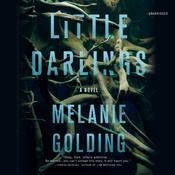 Melanie Golding is a graduate, with distinction, of Bath Spa University’s postgraduate creative writing program. She has been a farm hand, a factory worker, a child-minder, and a music teacher. Throughout all this—because and in spite of it—there was always the writing. In recent years she has won and been short-listed in several local and national story competitions. 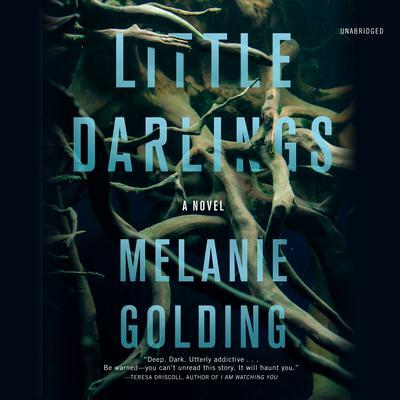 Little Darlings is her first novel.